Do you want to know the quickest way to make your life a little easier? Installing smart home technology! In the past few years, smart home upgrades have become more accessible and more affordable. Here are few upgrades that the Dalton team recommends to make your home in the Cedar Falls and Waterloo area more comfortable. Smart thermostats aren’t new to the market, but changes in their technology have made them more convenient and easier to use. New smart thermostats take the guesswork out of maintaining your home comfort. They can sense when you’re at home or away and adjust the temperature accordingly. Additionally, you can control them remotely, so no more returning home to an overheated house. Instead, you can lower the temperature while you are in commute and enjoy the cooled air when you arrive. What are the Advantages of Having a Digital Setback Thermostat? Did you know that you can save hundreds of dollars a year on your heating and cooling bill simply by upgrading your thermostat? 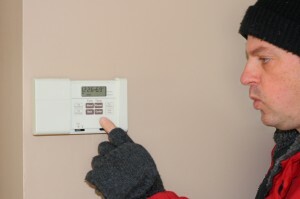 With traditional thermostats you must remember to adjust the temperature throughout the day. 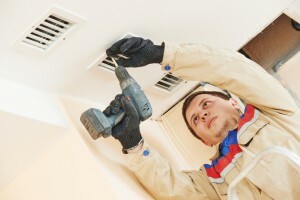 Adjusting your temperature for when you are at work or are asleep can drastically lower heating and cooling costs. A digital setback thermostat has a clock built in and operates on a schedule you create so you can go through your day and save money without having to worry about adjusting your thermostat. Let’s say you work 9 to 5 and prefer your home at 72 degrees during the heat of the summer. On especially warm days your air conditioner will have to run more often to keep the house at this temperature. You could tell your digital setback thermostat to start keeping the temperature at 76 degrees when you leave for work, and then have the house back to 72 degrees by the time you get home. During the winter you could tell your thermostat to keep the house a bit cooler while you’re sleeping so the heat doesn’t have to run as often. Digital setback thermostats come in a wide range of configurations and price points. On the more basic end, you’ll get what appears to be a standard thermostat but allows you to program a schedule into it. In the mid-end, you’ll get a thermostat with a larger display and options to create different schedules for different days. At the higher end, you can get “smart” thermostats that can be controlled with your smartphone, tablet, or computer. Some thermostats in the mid to high range also include a touchscreen for easier programming. Digital setback thermostats range in price from $25 for basic models to $300 for high-end models. Digital setback thermostats come in a wide range of configurations and you’ll easily be able to find one that is compatible with your current HVAC unit. In most cases, you can change your thermostat yourself with only basic wiring experience. Simply remove the old thermostat, make the proper connections to the new thermostat, and mount it to the wall. Thermostats typically come with simple to follow instructions. Once installed, you’ll be on your way to saving hundreds a year on your heating and cooling. Upgrade your Cedar Falls home thermostat today! Just Call Dalton Plumbing, Heating & Cooling at (319) 266-3513, and see what advantages a new digital setback thermostat can do for your home. Save Money With A Thermostat Today! Wi-Fi thermostats are quite popular and easy to use. They can control your home or business temperatures from anywhere. This product can make your life easy and uncomplicated. Initially, there is additional costs to get it going but the money you save on energy will more than pay for that initial cost. What makes this product so useful is that it can literally be controlled anywhere in the world. For example, if you want your home to be warm and inviting before you get home from a cold and windy day outside, simply set the setting for your home from your office or other location and your home will welcome you with warm and comfortable temperatures. It is important to note that you can use your cellphone, tablet or laptop to control the settings of your wi-fi thermostat. Keep in mind, a wi-fi thermostat also gives you updates and alerts about the maintenance of your thermostat. For instance, if the air filter needs to be changed, it will tell you so. The wi-fi thermostat makes your heating and cooling systems work more efficiently and productively. Wi-Fi Systems are Precise, Energy Efficient and Look Great! It’s a known fact that a wi-fi system is more precise. The variations and swing are much less compared to regular thermostats. You will also enjoy the savings that come with wi-fi thermostats. It is definitely user friendly. Most people are able to save 20 percent more than with a traditional thermostat. Most importantly, wi-fi thermostats have a unique, contemporary and trendy look, which adds to the beauty of your home. Some may not know it but you can change its display so that it matches the interior of your home. Most importantly, you can receive alerts to your email or smart phone concerning the variations of your home’s temperatures. 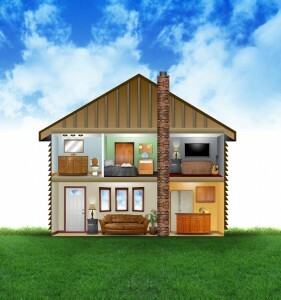 For example, if you home is getting too hot or too cold, your applications on the Wi-Fi can easily take care of that. To conclude, Wi-Fi thermostats are loaded with benefits! Talk with your heating and cooling contractor or check out your local hardware store! Is the varying temperature in your Cedar Falls home making you consider a thermostat installation? Call Dalton Plumbing, Heating, & Cooling Inc. today at (319) 266-3513 for top quality installation services.